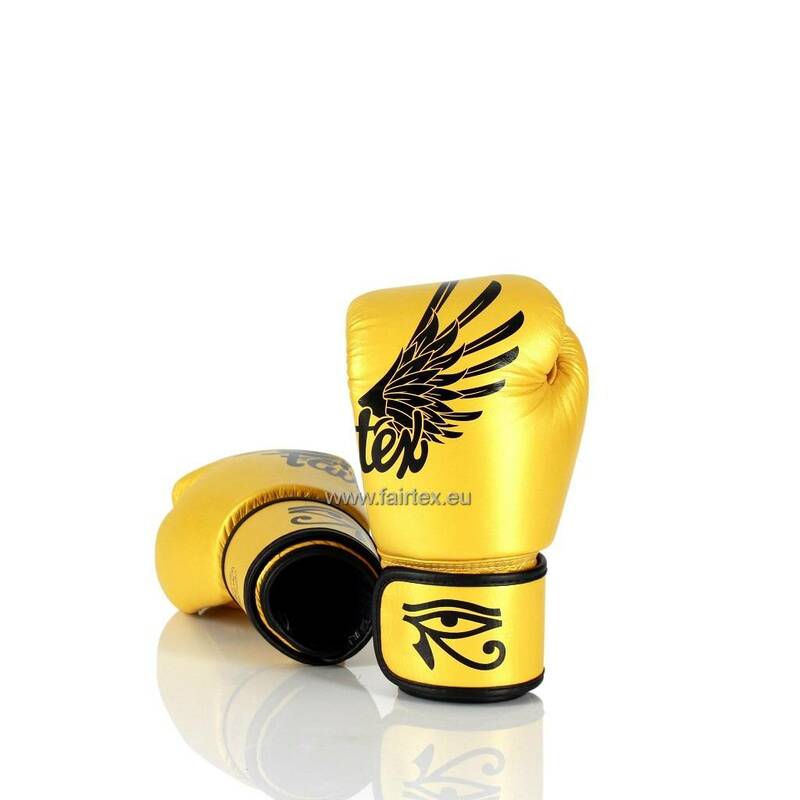 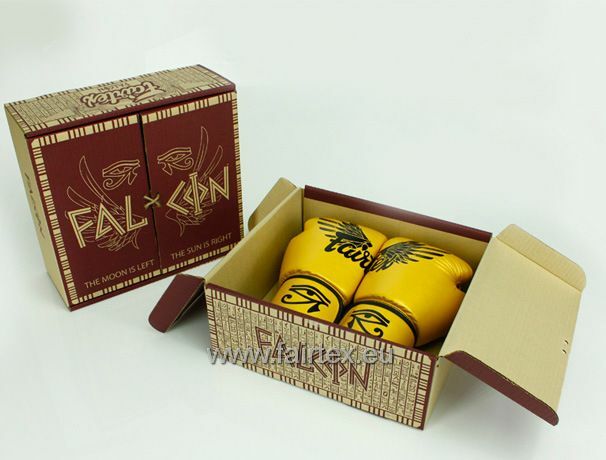 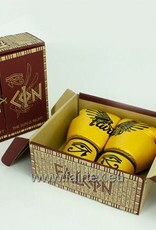 A Limited Edition version of the renowned BGV1 Pro Fight Gloves with “Falcon” design, featuring special gold colouring, a falcon’s wing and eye of Horus on each glove. 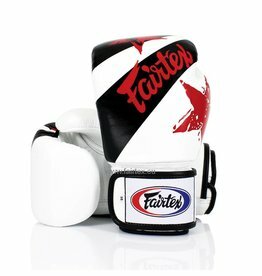 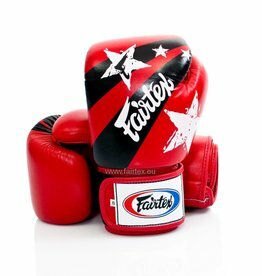 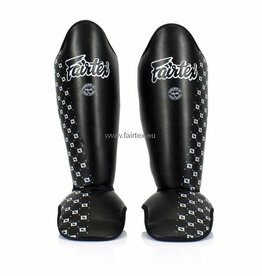 Constructed of premium Grade A genuine leather with the Fairtex signature three-layered foam system for excellent hand and knuckle protection and shock dispersion. 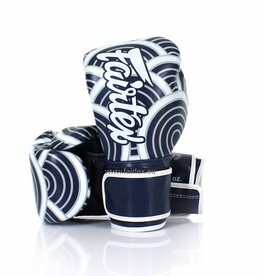 These Limited Edition gloves come in a special packaging. 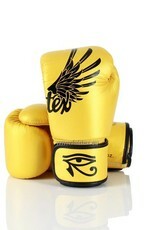 Gold represents power, strength and perfection. 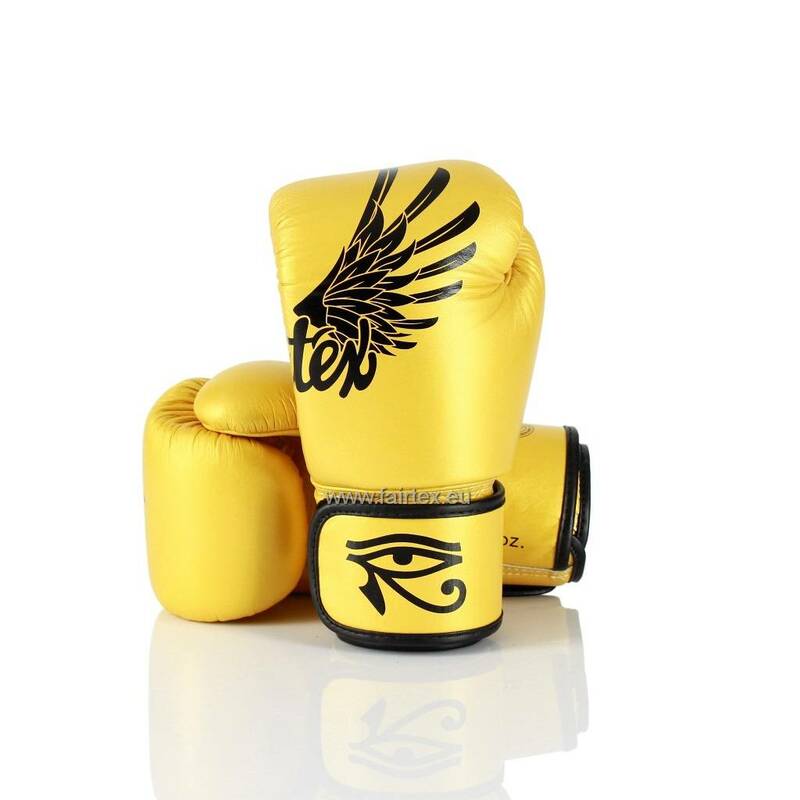 The ancients used gold to symbolize balance in all things, as in the “golden mean”. 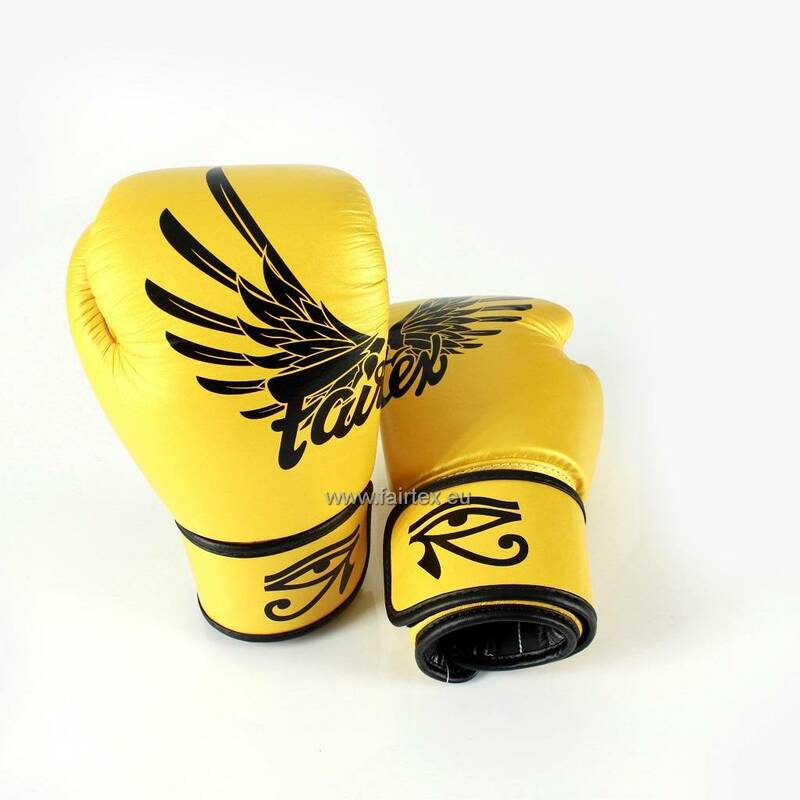 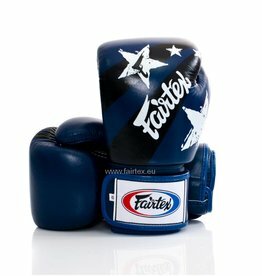 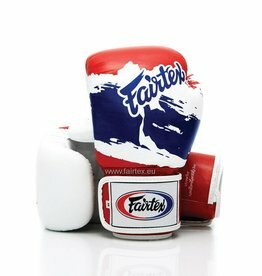 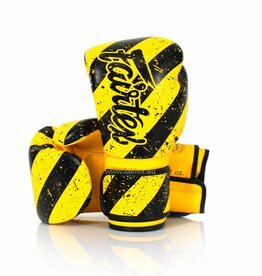 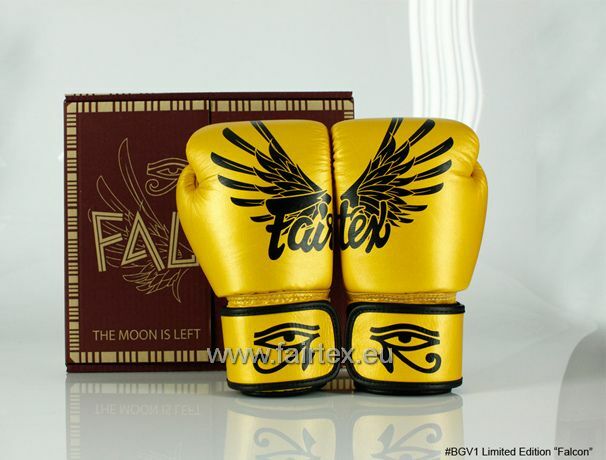 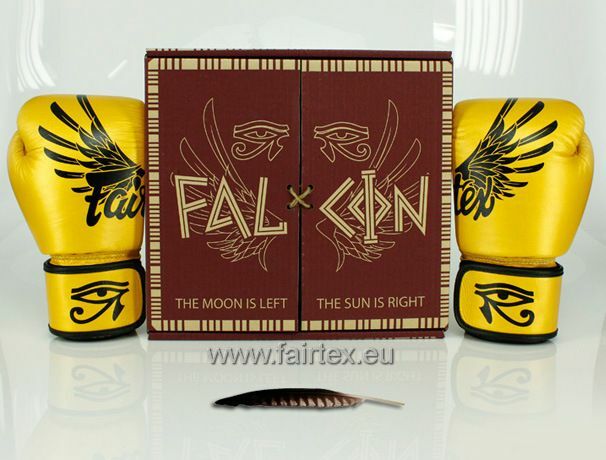 For this reason, Fairtex chose gold as the colour for the 13th release of limited edition gloves, with the Fairtex logo distinctively separated across each glove. 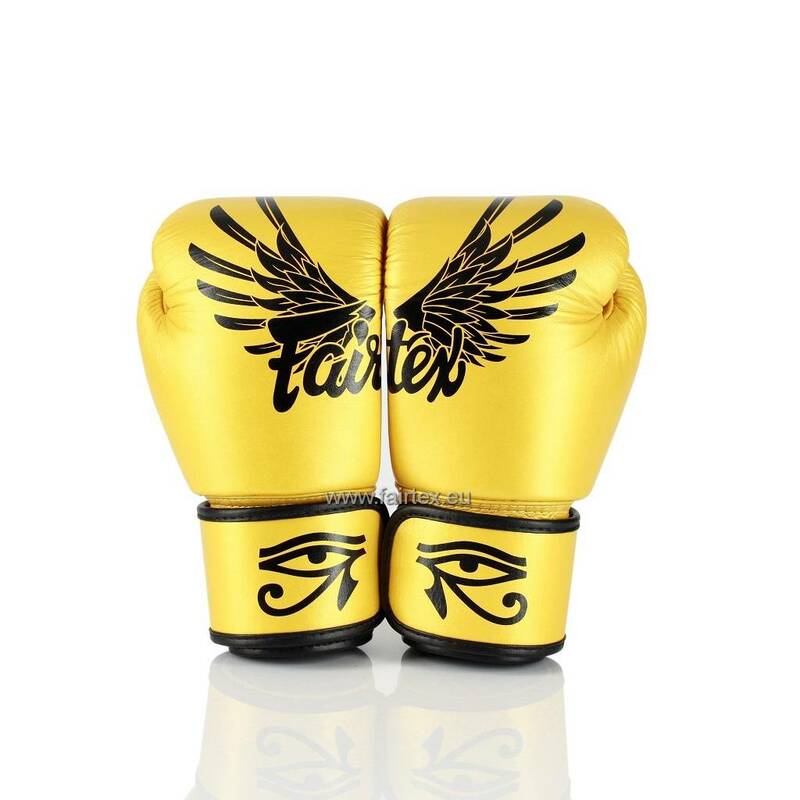 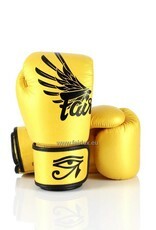 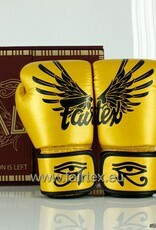 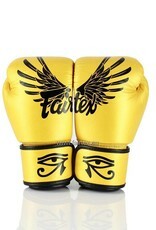 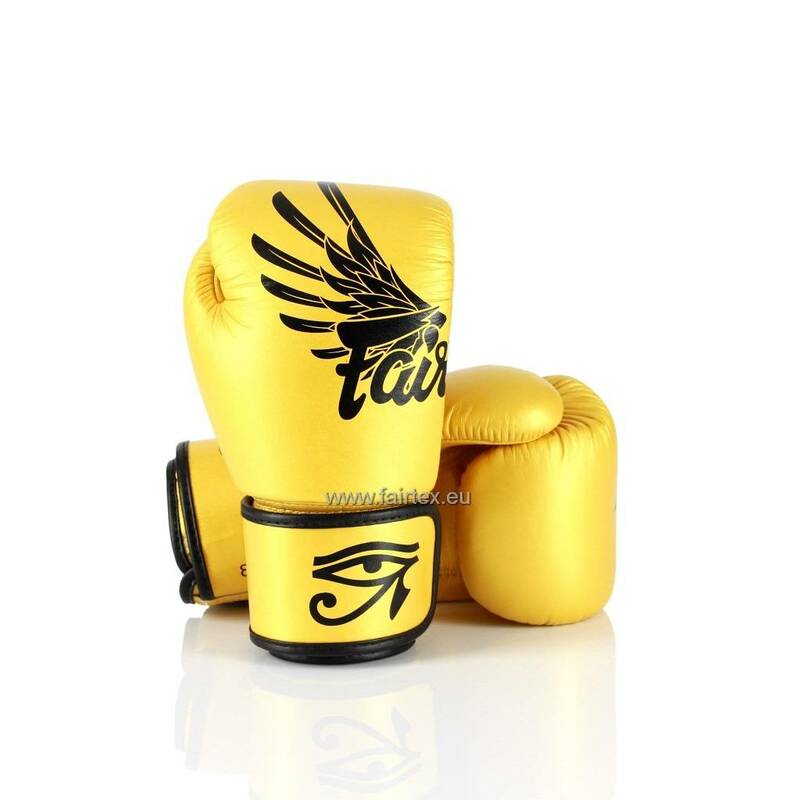 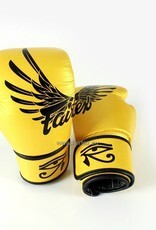 The gloves also prominently feature two special attributes of the ancient god “Horus”: a pair of falcon’s wings and the distinctive “Eyes of Horus”. 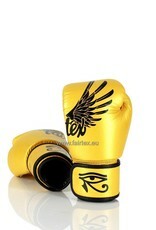 Horus was known as the god from the sky and was worshipped as the god of the sun, war and protection. 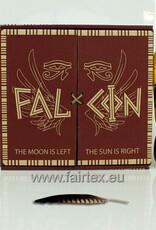 Horus took the form of a falcon, with his left eye representing the moon and his right eye, the sun.